New China data shows underreported coal consumption emissions. After years of breakneck, environment-be-damned economic growth in China, the game appeared to have changed: last year, China agreed, with the U.S., to curb its emissions and earlier this year decided to try out a cap-and-trade program to cut its greenhouse gas emissions to dethrone itself as the world’s biggest polluter. That may be slightly tougher than expected, the world found out on Tuesday. The New York Times reports that while much has changed in China, the government’s habit of smog-like transparency remains. New Chinese government data shows that the country is, in fact, burning 17 percent more coal yearly than previously reported. What does that mean for its emissions? “Even for a country of China’s size and opacity, the scale of the correction is immense,” the Times notes. “By some initial estimates, that could translate to almost a billion more tons of carbon dioxide released into the atmosphere annually in recent years, more than all of Germany emits from fossil fuels.” Or, put another way, the 600 million ton revision to China’s 2012 coal consumption is, by itself, more than 70 percent of what the U.S. burns as country in an entire year. The new data, which appeared recently in an energy statistics yearbook published without fanfare by China’s statistical agency, show that coal consumption has been underestimated since 2000, and particularly in recent years. The revisions were based on a census of the economy in 2013 that exposed gaps in data collection, especially from small companies and factories. The Chinese government has not yet commented on the correction, which will complicate efforts to meet climate negotiation goals later this month at the U.N. Climate Change Conference in Paris. 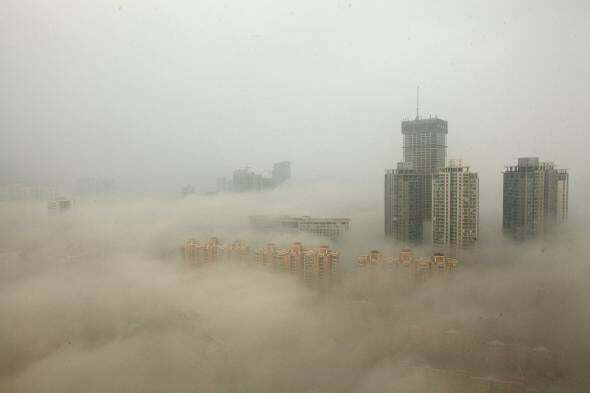 “China’s emissions — 4.2 billion metric tons in 2013, according to the new data — now far exceed those of any other country, including the United States, the second-largest emitter,” according to the Times.